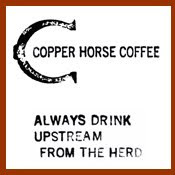 A few years ago when I was first getting really obsessed with quality coffee and I was trying to think of things to do with my life, for some time I thought of starting a coffeehouse in a local college town. One of the places I considered was the adjoining towns to Villanova, but after a little research it seemed like there were a lot of coffee places and it wouldn't be a good area to set up shop. Fast forward a few years and the passing of that particular stage in my life (it was for the best), I have had a few recent opportunities to better explore such adjoining towns as Wayne, PA and their local businesses. 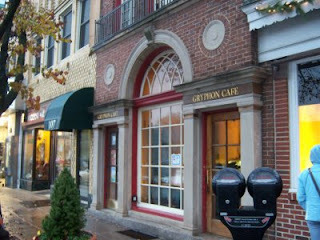 One particular business that caught my eye was a small coffeehouse called the Gryphon Cafe. The building seems to be an older structure, outfitted in a classic yet stylish architecture (I've never seen such large windows). On the inside, the venue is two floors. The lower level conveys a vibrant high-ceiling room with tall back windows, yellow walls, and nice wood floors. Upstairs, there's a small sitting room along with the bathrooms. The coffee is from a Philly roaster called Torreo Coffee, a place I've heard of but have not had any interactions with until my visit to Gryphon. 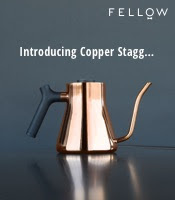 The coffee on tap that day was a Kenyan, a distinct coffee reminiscent of berry and a little bit of fig, with a hint of flowering grass in the aftertaste (i.e. pretty good). The espresso also ended up being tasty; a good pull resulting in a lemony sweet pair of shots with just a tad of char. The tea is free leaf. While I did not expect to find a good coffeehouse near Villanova, it makes me glad that the town has a decent spot like Gryphon. It also makes me glad I didn't open up shop there; I wouldn't have liked competing with a quality place. If you're close or driving through, swoop by Gryphon Cafe.